I’m pleased to announce that Harry is waterproof! We have had the most incredible downpour, thunder and lightening and yes I’m dry! Slightly deaf but dry 😀 It’s quite an experience sitting in a metal can whilst the heaven’s pour down, the noise is incredible – it sounded like hailstones and it was only rain so I can only begin to imagine what hailstones would sound like!! The campsite died down, everyone was hunkered down, doors shut, windows closed, flaps secured and doorways zipped up! I did feel for the campers in the tents, I mean these guys are serious campers. 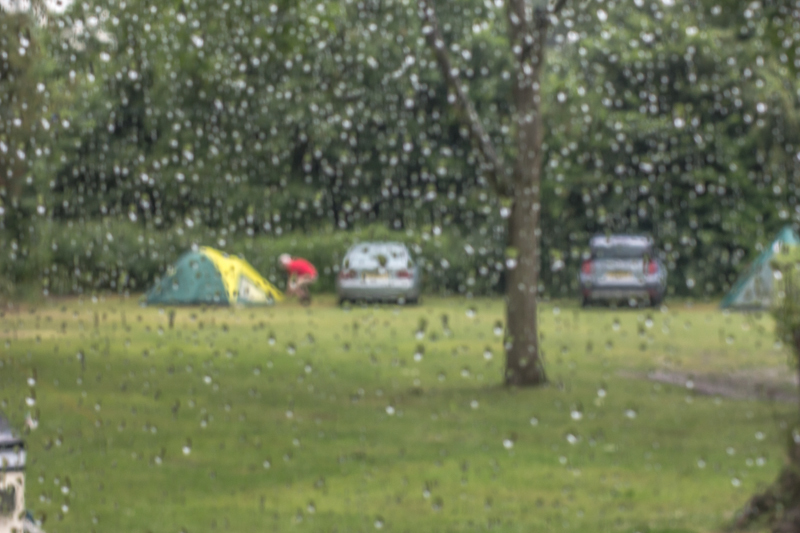 I did have a smug minute watching this poor guy pitch his tent in the middle of the downpour, but he did it in record time, no sooner was the tent up he scuttled inside and didn’t come out again until the rains stopped. If I wore one, I would doff my cap to him. My heart goes out to the guys at Glastonbury! Of course camp life goes on with people arriving despite the weather. 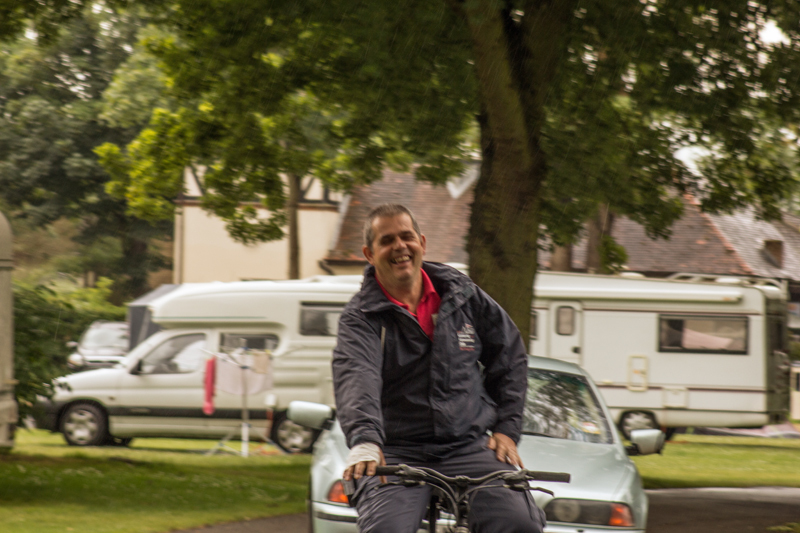 The staff welcome newcomers and show them their pitch by riding on their bikes ahead of the motorhomes, caravans and tent pitchers, it never fails to amaze me how happy these guys are, (even in the rain!) always a wave, a smile, a sound piece of advice, a story, and I can honestly say we couldn’t have chosen a better site as newbies to camping, they’ve been truly welcoming and have made our transition to this new lifestyle very easy indeed, if it weren’t for the fact that we have exciting adventures ahead of us, I would happily stay here until I retire!! 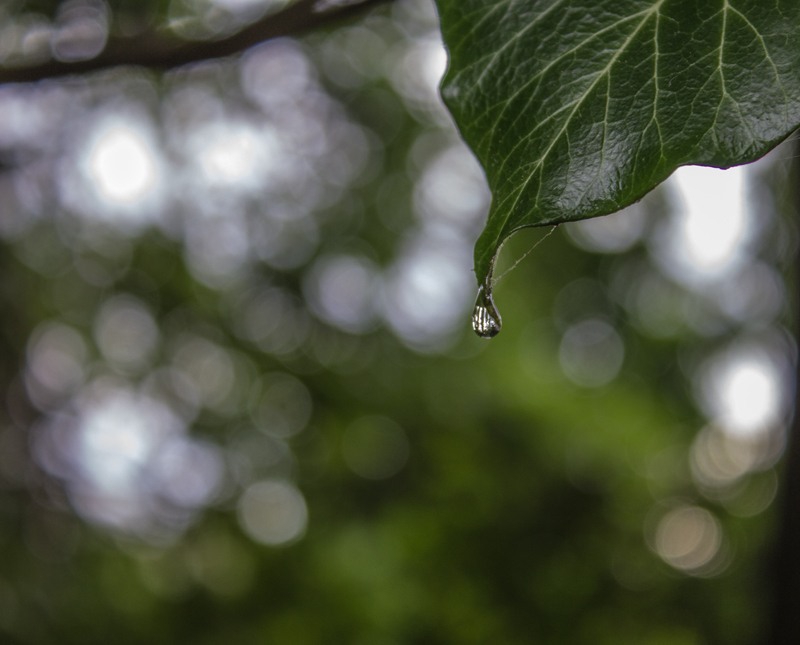 After the rain, the whole campsite started coming to life again with people venturing out of their temporary homes, going about their business, I went out with the camera to catch the beauty that is often so taken for granted. 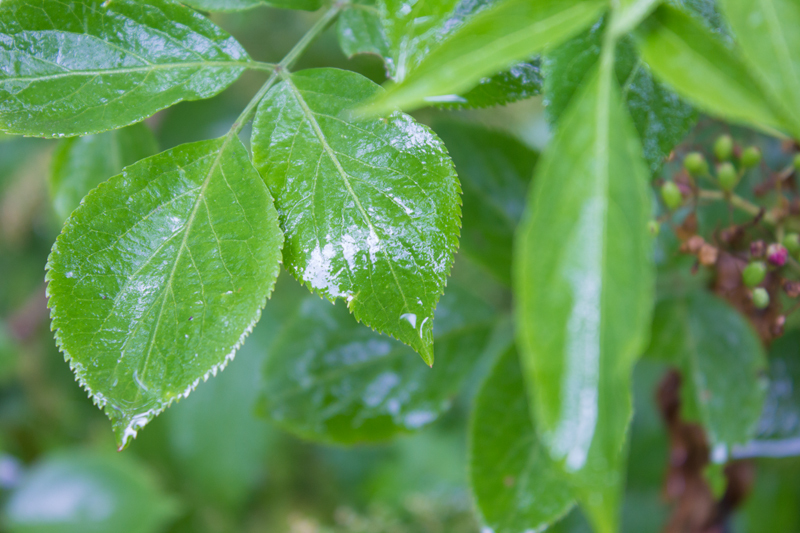 The glossiness of the rain on the leaves was stunning. There are two things that Charlie cannot stand, one is rain and the other is motorbikes, I don’t know what happened to him before he came to live with us but it’s had a pretty devastating effect on him, we’ve worked incredibly hard at calming him and making him feel secure. In general we’ve managed quite well but water and motorbikes we haven’t beaten … yet!!! Today, bless him he had both to contend with, despite the fact that he was bursting to “go”, (he can cross his legs for 14 hours!) and it was wet outside I did manage to take him on a very, very, short walk, he is more than happy lying in his basket, safe and dry under the awning, at the door of the van, watching the world go by. He did freak out slightly when a group of 4 or 5 motorbikes turned up, however it’s quite amazing how you can calm an old dog down with a boiled new potato!! He managed to contain himself and keep the usual whining and barking to a mere squeak! The dogs in the van next door aren’t as precious as Charlie and I tried to catch a shot of this stunning Labradoodle called Oscar, a bit of a mover and as I was shooting leaves and puddles I wasn’t in “Dog” mode but I think this just about sums him up!! On the Harry the Hymer front our job today was to change the submersible water pump which is located in the Fresh Water tank, the difference in the pressure of water coming out of the taps and shower is noticeable and we’re really pleased to have done that. 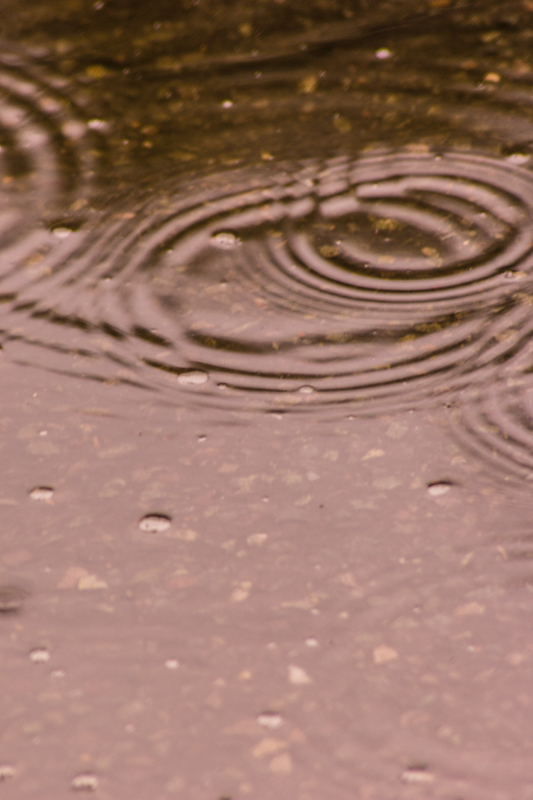 I think I’ve had enough water today and am crossing my fingers that the weather will pick up again tomorrow. Take care and keep dry!! 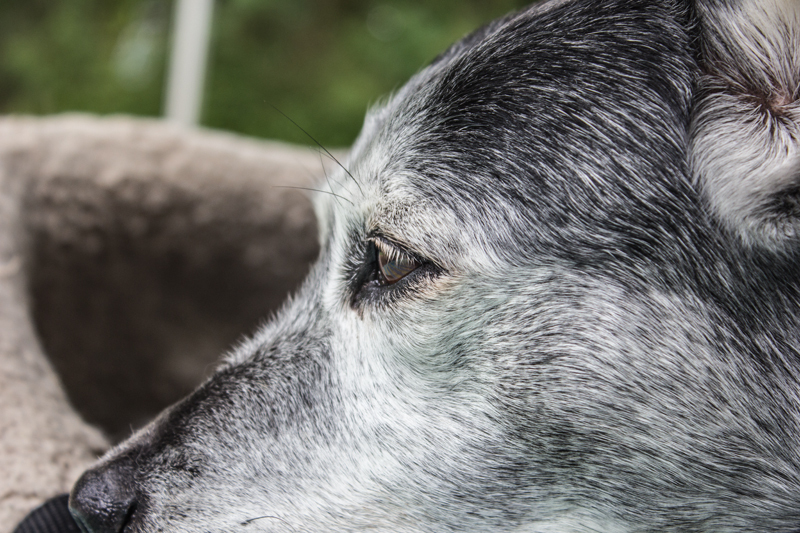 This entry was posted in Daily life, Dogs, England, Hidden Gypsy, Hymer, motorhome, motorhoming, Photos, Thoughts and tagged Dogs, England, Hymer, labradoodle, motorbikes, motorhome, motorhoming, Photography, Rain, tent, thunderstorm, waterpump, Weather, wet. Bookmark the permalink. Sounds like a wonderful adventure. I look forward to reading more. Well departure date is drawing closer and I’m getting more and more excited I do hope I’ll have some lovely photos to show along with some interesting stories! !